Yunhyeong was JUST beside them. In a recent episode of 'iKON TV,' the boys were in a bus traveling around doing missions on the go. They stopped by an area where there were students passing by and got them to do a voting on a board where the iKON members were displayed. Jinhwan was hiding himself before he bravely stood beside the line of students. 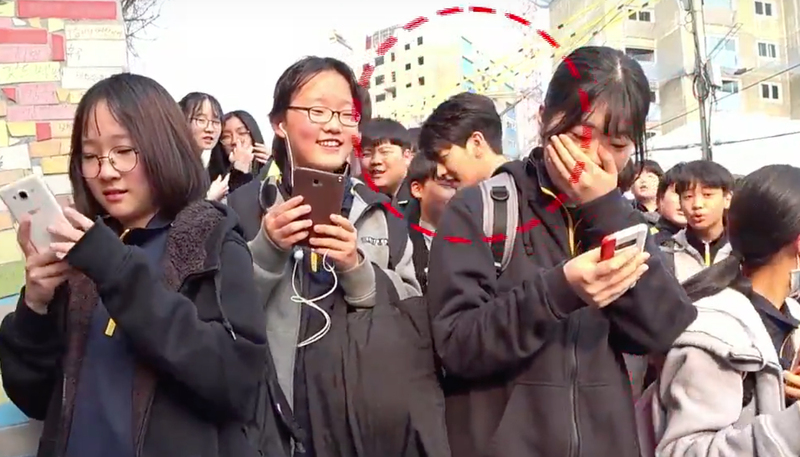 No one noticed him until a female student who complimented him saying "he look really cute" was being gestured to look by her side where Jinhwan was. She was in a total shock. The attention was all on Jinhwan and Yunhyeong who went into the crowd at that moment while singing 'Love Scenario' was totally invisible then. Fans who saw this episode left various kinds of comment with some going, "How can they not notice such a beautiful existence beside them!" 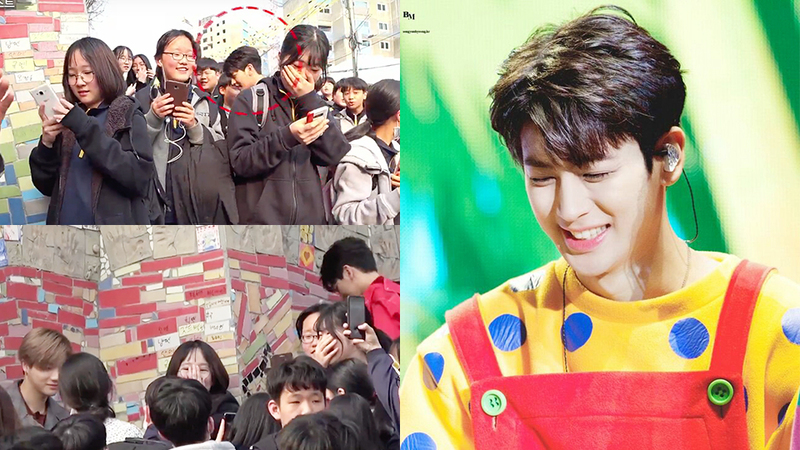 and some went, "Yunhyeong was too shy and quiet..."
Watch the moment at the 12:44 mark in the video above!